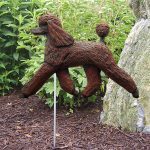 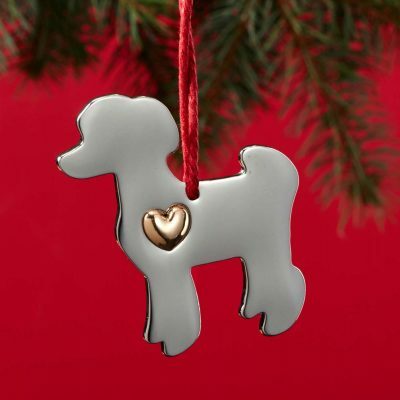 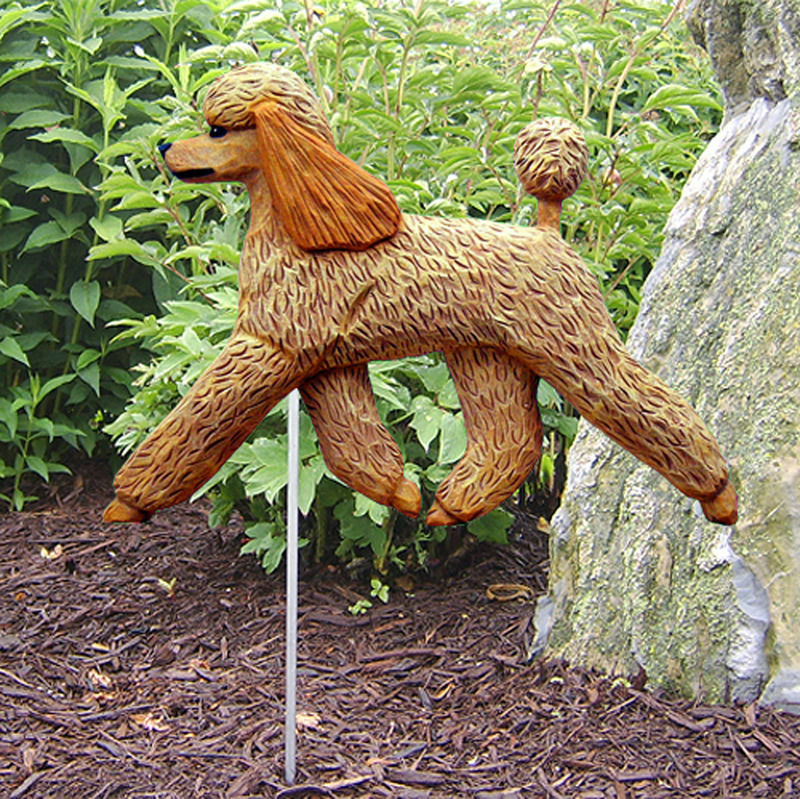 These Poodle ornament and dog charm sets make the most thoughtful gift! This gift set comes with an ornament for the dog lover and a collar charm for the dog. 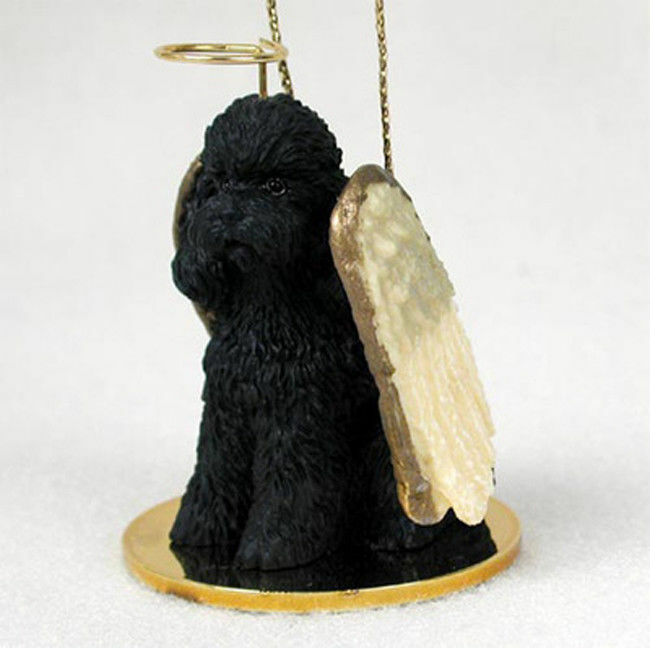 Both the ornament and charm are made of silver metal. 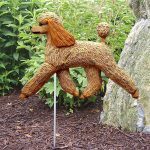 Each ornament represents the silhouette of your favorite dog breed with a gold accent heart on the front. 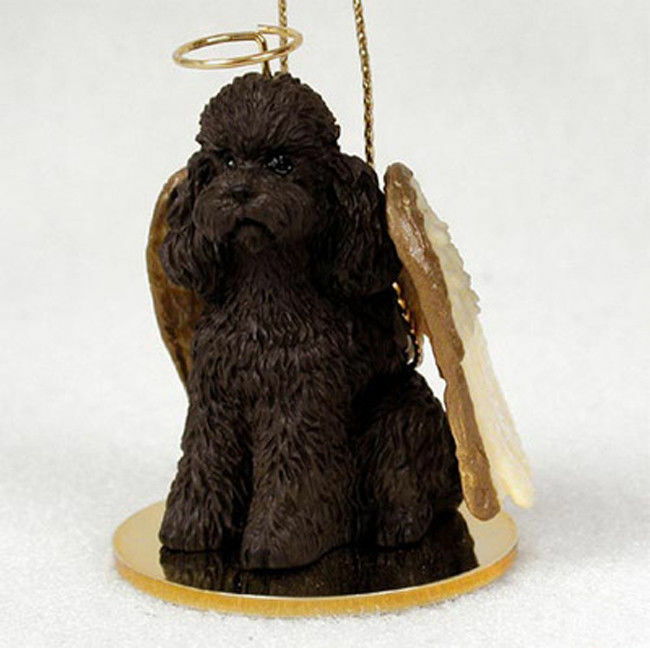 The ornament measures approximately 2.5 inches in the longest direction and has a red cord ready for hanging. 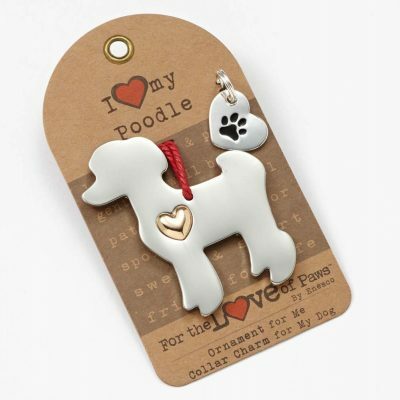 The paw charm can be attached to your dog’s collar.